Talks on Kosovo at the UN Security Council are deacllocked with members failing to agree a common stance on the volatile situation. 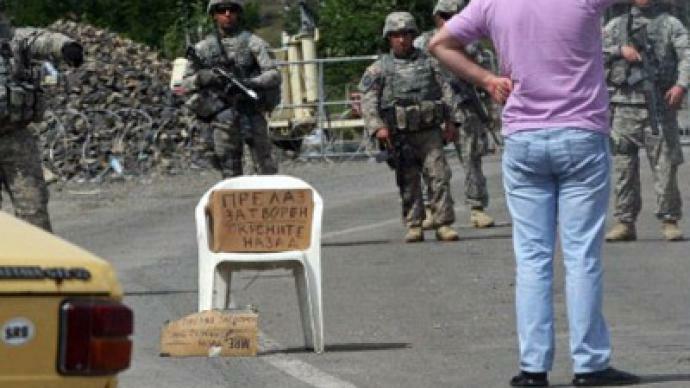 Meanwhile, local Serbs are continuing to reinforce barricades near the disputed Serb – Kosovo border. ­Serbs in Kosovska Mitrovica also fortified barricades on the main bridge across the Ibar River, which separates southern from northern parts. 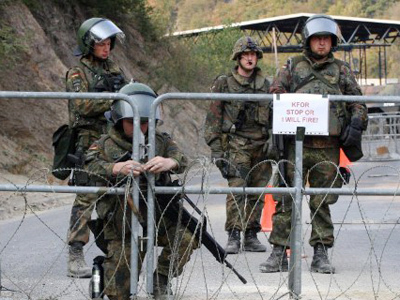 NATO’s peacekeeping KFOR troops have also reinforced the border between Kosovo and Serbia by deploying armored vehicles, sandbags and barbed wire around the Jarinje border crossing, about 100 km (60 miles) from Kosovo's capital, Pristina. On Wednesday, members of the United Nations Security Council gathered for emergency consultations in New York to discuss the situation in southern Serbia. But negotiators failed to reach a common stance on the situation in the turbulent region, the Belgrade-based Tanjug news agency reported on Thursday. The closed-door meeting was convened at the request of Russia, following recent violent clashes between NATO’s forces and civilians. Most UNSC members showed they understand the severity of the situation in Kosovo, Tanjug news agency reported, quoting a diplomatic source. According to diplomats who contributed to the news agency’s report, Western countries reiterated their earlier position that the problems in northern Kosovo can only be solved through dialogue, with the mediation of the EU. 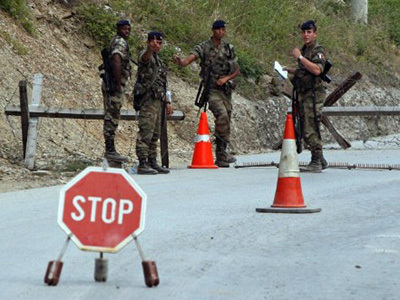 The meeting follows violent clashes between KFOR troops and local Serbs at the Jarinje administrative crossing on Tuesday. Fresh violence flared in the region on Tuesday when NATO peacekeepers tried to dismantle Serb barricades near Brnjak and Jarinje checkpoints set up in July. 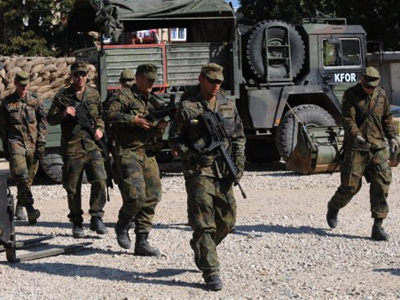 Sixteen Kosovo Serbs and four KFOR members were injured. During the dispute rubber bullets and tear gas were used by alliance forces, but according Serbian hospital officials some of the injured had been shot with live rounds. NATO’s spokesperson said KFOR troops had fired on Serb protesters in the Mitrovica region in response to an attack by the crowd. Russia’s envoy to NATO, Dmitry Rogozin, has demanded that the alliance creates a commission to investigate what happened. “I have asked for an objective investigation into what the so-called NATO peacekeepers are doing in Kosovo. But they just ignored my question,” Rogozin told RT. According to Rogozin, NATO representatives did not want to discuss its troops’ actions. “We are witnessing outright lies about what kinds of measures have been used against the civilian population in Kosovo. We have been told that only rubber bullets and tear-gas were used. But according to information from the hospital, all the injured have gunshot wounds. And physicians from Mitrovica complained about the bombardment of ambulances which were transporting the wounded from the conflict zone," Rogozin told Interfax news agency. 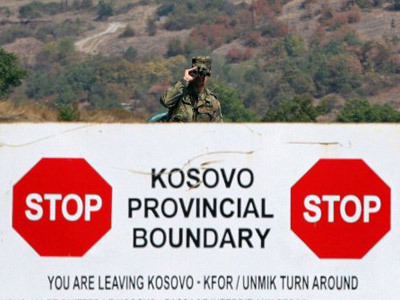 The Russian Foreign Ministry has also expressed concern about the rising tensions in Kosovo. It called on the NATO-led force to respect neutrality and the "supremacy of the law." There has also been a very sharp response from Belgrade. “The latest events in the south of Serbia show two facts: first, that Pristina is about to set up customs around what they think is the independent state of Kosovo. Second, they show that there are international unions and a whole number of states that approve of such intentions of Pristina. We are facing a situation here when international forces deployed in Kosovo in fact serve the needs of Pristina instead of maintaining a neutral position. This is why Serbia is against this,” Serbian Minister of Internal Affairs Ivica Dacic said.